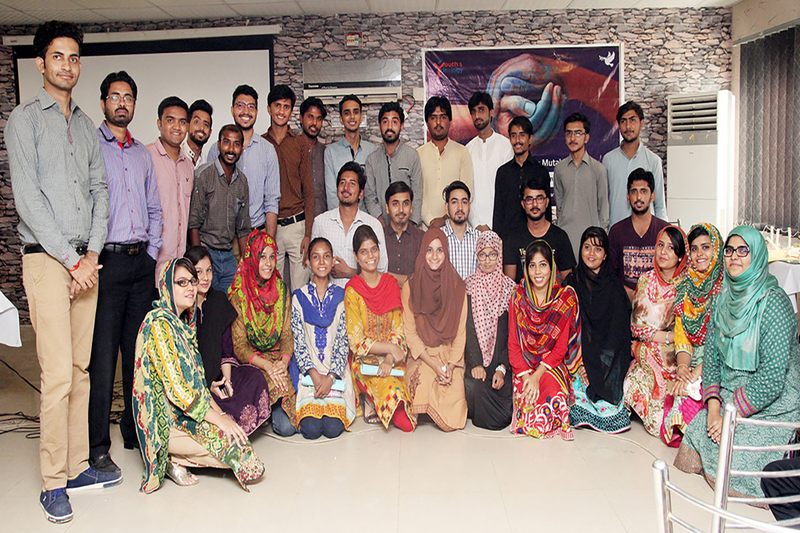 Group photo of students from different universities of Jamshoro and Hyderabad. A student sharing her input in relation to international peace day activity with media. A theatre play was performed highlighting issues of discrimination. Student from audience sharing her input during question answer session. Salman Chattha sharing an example of Canada’s first Cabinet under Prime Minister Justin Trudeau, where there are equal number of men and women in cabinet along with representation of minorities and how diversity is an asset. 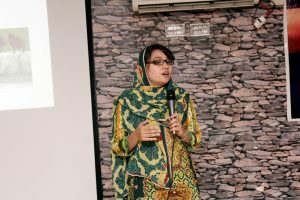 Aqsa Rajput emphasized importance of education especially of girls in her session. Aqsa Rajput welcomed the guests and youth panelists. 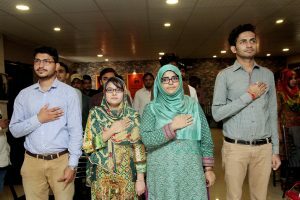 The event commenced with the National Anthem of Pakistan. 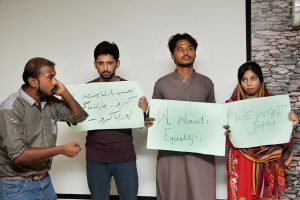 The Youth Alumni of Hyderabad, Pakistan, organized an event titled “Muktalif Magar Muttahid” (different but united) in celebration of International Peace Day. Aqsa Rajput, a senior member of the Alumni, while welcoming the guests spoke about the value peace, dignity and respect holds as a basic human need irrespective of one’s beliefs or thoughts. Celebrating the idea of peace among people of different faiths, alumni speakers shared their thoughts and views. Some highlighted issues of racial and religious discrimination prevalent in societies globally while others shared possible ideas to overcome these issues and maintain interfaith harmony. 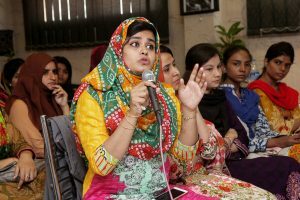 Aqsa Rajput, among many other Youth Alumni members, has participated in various trainings on governance, democracy, constitutional rights and other such themes in the last three years. 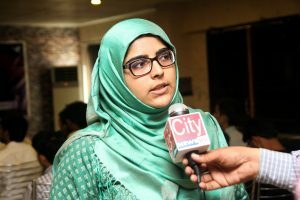 This unique event on Peace Day, where all panelists were youth members themselves, was organized by her as a way of sharing her learnings with her peers and other youth members. Aqsa shared that organizing and taking part in such activities also helps youth members like herself in enhancing their leadership and communication skills. 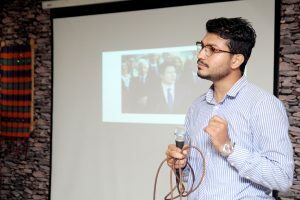 Being the first speaker at the event, Aqsa underscored the many types of discrimination that is practiced in various countries, religions and societies and how the most vulnerable suffer the most in such circumstances. With that, she also highlighted the importance of education and how that plays a key role in empowering communities, specially girls. Aqsa had recently visited Nepal as part of a youth exposure and exchange visit, of which she gave an example of how people of completely different faiths and religions live peacefully and happily in one county. As part of her address, Aqsa focused on the need for building more peace and establishing frequent interfaith dialogues among people of varying religions to develop a relationship of mutual respect and dignity. the world needs to come forward for fostering peace. I strongly condemn the human rights violations in Myanmar of the Rohingya community. The panel sessions then followed a question answer exercise, where participants shared their views and experiences on discrimination, if any, that they had faced. Some girls among the participants, quoted experiences of gender discrimination faced by them. Another youth member shared his own experience of practicing religious discrimination towards people of other faiths, and acknowledged how the panel and speaking sessions at the event made him realize that all citizens are equal irrespective of their belief, caste or creed. Queries on other similar issues were put forward to the speakers and were discussed in detail. Many participants claimed that their understanding on accepting and celebrating diversity has fairly improved since participating at the Peace Day event. Towards the end of the day, a theatre performance on the theme of religious discrimination by youth group members was held. 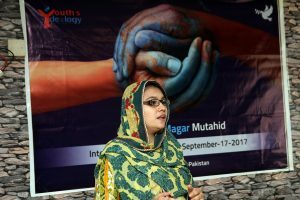 The event concluded with participants coming together to share messages of peace in solidarity with the Myanmar’s Rohingya community. I am now taking a positive message of peace being the only solution for a country’s development and progress. Many other participants, after the event, committed to being more determined and active in promoting and enhancing peace and tolerance among their communities.